The Delaware County Conservation District is a subdivision of State Government, but a service of County Government. The District is guided by a board of volunteer directors appointed by County Council from a list of nominations from concerned groups throughout the County. The District evaluates problems, implements programs, and advocates for effective solutions dealing with natural resource protection and conservation. Stream Maintenance – Booklet from DEP on what you can and what you can not do. The mission of the Conservation District is to ensure the wise use of Delaware County’s natural resources and to protect and restore the natural environment through the conservation of its soil, water, and related resources. The Conservation District with the direction and participation of the District Board will support, promote, and execute programs, regulations, and individual efforts, which are consistent with this goal. We will work with individuals, governmental units, and the regulated sector of society to prevent environmental degradation and advocate remediation of past environmental damage. Services will be provided in an expeditious, thorough, and considerate manner. Voluntary compliance will be the preferred method of administering all regulatory programs assigned to us, but we will follow through with the most appropriate enforcement action when violations cannot be resolved cooperatively. Chapter 102 Erosion Control: Administration of the State’s program to control sediment pollution from earth disturbance activities. National Pollution Discharge Elimination System (N.P.D.E.S.) Processes applications and seeks compliance towards storm water discharge permits for Construction Activities. Chapter 105 Waterways and Wetlands General Permitting: Assists applicants with permit information. Processes general permits for work within wetlands and streams. Pennsylvania Natural Diversity Inventory Computer checks for endangered or threaten plants and animals within proposed construction areas. Envirothon– An annual environmental competition for High School Students. Coordinate cooperation of most Environmental Agencies operating in Delaware County. Conservation Poster Contest – An annual event in which posters with environmental themes are submitted by Schools. Prizes are awarded in five divisions. Construction Industry Award – Annual a Developer and Contractor are selected for the best efforts in erosion and sediment control prevention. 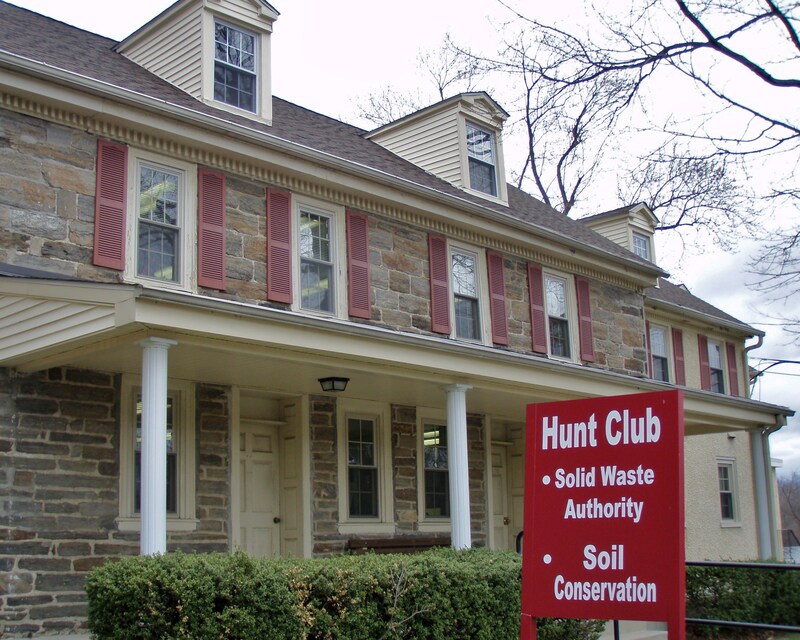 Southeast Pennsylvania Association of Conservation Districts (S.E.P.A. 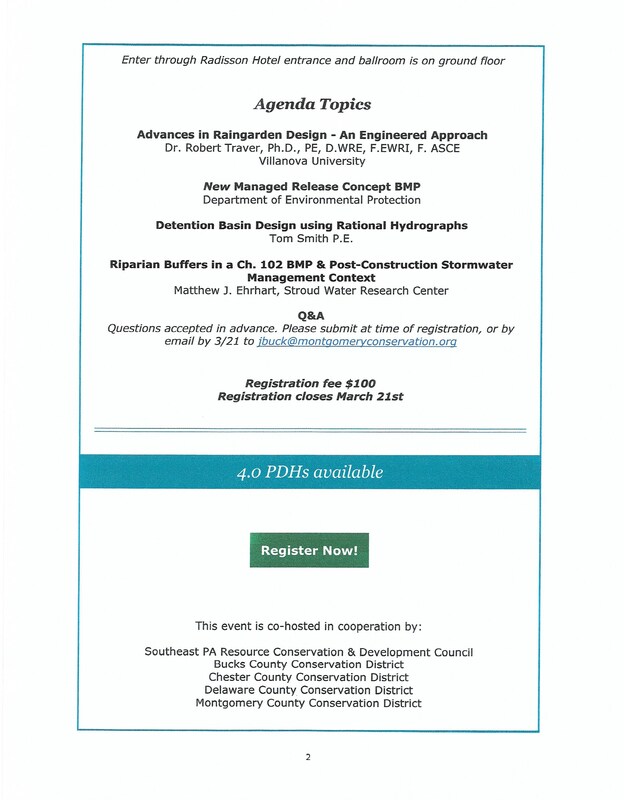 )- Consists of Bucks, Chester, Delaware and Montgomery County Conservation Districts. The purpose of the group is to combine resources to work on issues of mutual concern. Educational Videos Have produced 10 training videos on various environmental issues or regulations. Mini-grant Program – Annually distributes approximately $3,000.00 to groups for environmental projects in grants, which do not exceed $500.00, each.